The Digital Corridor is a creative effort to attract, nurture and promote Charleston's tech economy through a combination of technology-enabled initiatives and business incentives, private business support and member-driven programming. "Attending courses at CODEcamp allowed me to hone my web development skills while giving me the opportunity to interact with professionals that are driving Charleston technology community." "As an early stage software company, it was not only important to have a location to grow in but also the means to mature as an organization. The Flagships afforded this flexibility and infrastructure." "The Charleston Digital Corridor serves as the central hub for technology companies in the area and what that has done is create a sense of community around the companies that are a part of it." "While there are many opportunities for investment, our fund is happy to make growth capital available for Charleston’s tech companies. Michael Knox, Managing Partner, Silicon Harbor Ventures." Has the internet done more harm than good? The Charleston Digital Corridor's Leadership Profile Series is focused on the individuals who are driving the Charleston tech scene forward. This series is brought to you with support from Charleston County Economic Development. Annmarie Fini is senior vice president of platform strategy at Benefitfocus. Fini joined the Daniel Island-based maker of workplace benefits software in 2000. Benefitfocus connects employers, brokers, insurance carriers, specialty suppliers and consumers on a single platform to make benefits easier and more efficient. As a new graduate of Trinity College in Connecticut, Annmarie Fini took a chance on Charleston. Her college roommate suggested that Fini, a native of East Longmeadow, Mass., join her in Charleston for the summer. Fini, who had just earned a degree in public policy, had no job lined up in Charleston and nowhere to live. She had no car. But she came anyway, rented a rundown apartment and found a job in benefits in North Charleston. She took the bus to work that first summer. By the summer's end, she purchased a car and decided to stay. "I found my way and figured it out," Fini said. "And I've loved Charleston ever since." Several years later, in 2000, Fini became the 16th employee at what was then a benefits software startup in Mount Pleasant called Benefitfocus. She traveled the state, working with clients to implement the company's software. Thirteen years later, Benefitfocus went public. Now, 19 years later, it has about 1,400 employees, with roughly 1,000 of those based at its Daniel Island headquarters. Benefitfocus has more than 150,000 employers as clients and 23 million consumers using its platform. Fini has held various client-facing roles with Benefitfocus over the years, including most recently leading the company's customer success organization. In 2018, she assumed her current position as senior vice president of platform strategy, focusing on consumers using the Benefitfocus platform to manage and maximize the value of their workplace benefits. Back in 2000 when you joined Benefitfocus, what attracted you to the company? I was actually a customer of the two founders, Mason Holland and Shawn Jenkins. They had a pension/401(k) business. I was familiar with what they were doing with 401(k) pensions, and then when they decided to start Benefitfocus, I was very excited to join them. It starts from the foundation of an entrepreneurial company, and it's maintained a lot of that. Last year, we took a look at our values on the back of our badge, and we crowdsourced them. Many of the values that were part of the original ones had just a slight tweak to them: Community, together, respect, anticipatory service, and – probably my favorite – own it, which is really, "Just get in there." To me, it means just take it, run with it, figure it out, and own it till it's done at the highest quality. Have you learned any lessons from good bosses? Bad bosses? I've always had really great people that I've worked with and worked for. As far as lessons – a few of them are attention to detail and making sure that all of the details work. The little things make a difference. How we present information and how we conduct ourselves, people notice those things. So being professional at all times. Another lesson I learned early on from an entrepreneurial standpoint, is never giving up. Being passionate and being about what you believe in. Ray August, as our new CEO since 2018, has done a fantastic job with communicating and staying transparent. He's been holding Q&A sessions every couple of weeks for all associates. One of the things I've learned from him is no matter how many times you communicate, it's never enough. People hear different things from messages, and it helps to evolve what we're talking about and how we talk about it. And making sure that we've got the right point of view up front, whether it's the audience of our customers or our associates or our shareholders. What's the hardest or most important lesson that you've learned in business? One of the big things is that we're always changing. Business is always changing. It's very dynamic. Whether it's a new customer, a new project, a new role in the company. It's important to embrace that and finding your way through it. Staying true to yourself, but fully jumping in and making the most out of it, because you never know what it's going to do for you professionally, but also personally. I have so many great experiences that I can look back on. Not everything is easy. Usually, the harder it is, the more personal gain you get from it. Women make up 26 percent of the computing workforce, and they hold only 11 percent of leadership roles, according to one study. What would help bring more women into the tech industry and to leadership posts? I think it starts early on in terms of women getting computer science and even math degrees. I think encouraging that early on is important. My husband is in the teaching world, so he speaks to it all the time. There are some inherent areas that, as a country, we need to really promote and have more opportunities for girls to study in fields that they may not know anything about, but once they get into them, they thrive. In terms of leadership style, I have spent my career working with women, men, different varieties. My voice may not be the loudest voice, but when I speak, people do appreciate my point of view. I've become more confident with that over the years. There are still a lot of stereotypes about women and about how they handle themselves in different work environments. You just need to keep going. And have an environment of inclusion. I think that's really important. Every voice needs to be heard, whether it's somebody who might be more introverted than others – and that's male or female. Just taking the time to hear different people and different audiences. One of the things that I appreciate about Benefitfocus is the variety of people. Sometimes, we'll have 40 people come together just to hear the different points of view in all different levels of the organization. There's not really a hierarchy. Some of the strongest, most informed people are early in their careers, and they are confident to not be afraid to speak. Just some really fantastic women that I've had the pleasure to work with. How do you think about work-life balance? How do you find fulfillment both at work and at home? I don't work well in "life balance." I just work with what's good for me. I put my heart and soul into something. I'm in balance in terms of my schedule and accessibility for the company. I love what I do, and I have a very supportive family. I would probably be miserable if I had sort of a more balanced life, I guess. It's just who I am. I don't ever turn myself off. There's a lot of exciting things going on, and I just get into it. I would recommend the Harvard Business Reviewmembership. I get the daily management tips and other things. Inevitably, at least a few times a week, it hits exactly what I'm thinking about or struggling with. It's just got some really awesome articles or areas of focus, and it's a great search engine for things that you might be interested in. Two kids, one who just started at Carolina, and the other lives locally here in Charleston. Anything that is outside. My husband and I love to play golf. I love to hike and just be outdoors. What has it been like building your technical team in Charleston? We've had some really fantastic people, and I would say even more now that there are so many other technology options in town. It's attracting just a whole level of expertise from other parts of the country. Do you find any challenges recruiting talent here? Really, we don't. We have a lot of people who've moved here to join Benefitfocus, but also people who are out of college that are starting their jobs. In what ways do you see the workplace evolving? It's become a very diverse situation in terms of where people want to work, how they want to work, when they work, what they do. There's just a lot of other ways that people can pursue their passions and do whatever they want to. When we look at it from a benefits standpoint, we are seeing a lot of people who need to have a variety of benefits. There are five generations in the workforce now, and so there are people who are early in their careers and just starting out and maybe are getting their first apartment, first car even, or have student loans that they're worried about. There are benefits that didn't even exist as benefits before. So it's a very interesting time for people in the benefits community to be able to offer an array that fits every person in their workforce. That's something that we as a company have become ultra-focused on: that consumer experience and providing what is a best suitable benefit package for everybody. It's very individualized and personalized. People are working up until their 70s now, and so it's a dynamic space in terms of having different experiences and skills and being able to attract and retain them. Blackbaud (NASDAQ: BLKB), the world's leading cloud software company powering social good, today announced that it has been named one of America's Best Midsize Employers by Forbes for the fourth consecutive year in the IT, Internet, Software & Services category. Blackbaud holds a unique position at the intersection of technology and social good, providing cloud software, services, expertise and data intelligence with a guiding vision to build a better world and a goal of powering transformative outcomes for its customers. To accomplish those ends, Blackbaud aspires to create an environment where employees feel not only connected to customers and invested in their success but also inspired to support the causes they care about personally. "Our ability to drive digital transformation in the social good community starts with having the right people on our team. Because the work of every single member of our team ultimately supports social good customers in achieving their goals, we attract a special kind of employee who is not only talented and driven but also passionate and compassionate," said Mike Gianoni, Blackbaud's president and CEO. "We're honored to number among the country's best midsize employers again this year, because greater employee satisfaction means more innovation, more giving back and more overall excellence for the organizations and change agents making a difference in the world–-and that's why we're here." This honor is the latest external validation of Blackbaud's transformed culture. In recent years, the company has leveraged its position as the longstanding fundraising software and analytics leader to launch new, innovative cloud solutions extending far beyond fundraising to support needs across its customers' entire operations and serving a wide market spanning the entire social good community, including nonprofits, foundations, education, healthcare, faith communities, corporate social responsibility and more. Blackbaud's new world headquarters in Charleston, which opened in 2018, marks a physical manifestation of the company's brand and culture–-with a state-of-the-art customer innovation center, collaborative spaces, game rooms, ergonomic work stations, a coffee and tea bar, a modern cafeteria and creative outdoor sporting, meeting and event spaces. Blackbaud also rewards employee volunteer service through vacation hours and company-organized projects, including a 48-hour hackathon and an employee-led STEM program to teach elementary school-aged children to design and code. In 2018, 84% of Blackbaud employees volunteered. "This recognition from Forbes, based on employee feedback, is especially meaningful–-and indicative that people want to feel professionally and personally fulfilled in their work lives," said John Mistretta, executive vice president of human resources at Blackbaud. "Culture and environment are of highest importance to us and highest importance to the markets we serve. This award demonstrates the benefits of keeping our team's happiness crucial to the way we operate." America's Best Employers were selected based on an independent survey from a vast sample of approximately 50,000 employees working for companies with at least 1,000 employees in their U.S. locations. To view the full listing of companies, click here. In January, Blackbaud was honored by Forbes as one of America's Best Employers for Diversity for the second consecutive year. In 2018, Blackbaud was named to Forbes' America's Best Employers for Women list and one of the AnitaB.org 2018 Top Companies for Women Technologists. Commit Good, a blockchain-based charitable platform dedicated to creating a system of transparent giving throughout all stages of the donation process, today breaks ground on its first proof of concept project with the Rentse Foundation Trust to build homes in Otse, Botswana using $GOOD currency. The Rentse Foundation Trust, a non-profit organization dedicated to providing homes to the elderly and individuals in impoverished areas of Botswana, was awarded a grant payable in $GOOD ($58,824) currently equivalent to $10,000 USD from the Currency of Good campaign funded by the Financial Trading Group (FTG) to launch their project and build one home utilizing the blockchain as a proof of concept. "The collaboration with Commit Good and FTG are opening new doors for our project," said Rentse Ugokwe, founder and CEO of the Rentse Foundation Trust. "By using $GOOD as a new source of funding, we are developing low cost homes to shelter the most poverty stricken families in Botswana." The Rentse Foundation Trust will utilize $21,764.71 $GOOD, equivalent to $3,700 USD, to build one of 50 desired homes in a remote village of Botswana. Construction company, IMATU Enterprises, has agreed to accept $GOOD as payment and is one of the first housing projects in the world to utilize the blockchain and cryptocurrency. Launched in Q2 2018, the Currency of Good campaign allows charitable organizations in developing countries to post projects currently underway to the Commit Good platform. Once on the platform, items can be requested to complete the project and donors can see how donations are being used. By utilizing the blockchain, Commit Good's platform provides an increased form of transparency throughout the donation process. "We are honored to support the Rentse Foundation housing project," said Clay Braswell, founder and CEO of Commit Good. "Commit Good is peeling back the layers of donating by showing investors and donors, step-by-step, where their money goes and how it directly supports these charitable projects. In addition, we are placing charity coordinators on the ground in these countries to verify charities are legitimate as an added layer of transparency. Countries that face extreme poverty generally have unstable currencies and by utilizing our $GOOD currency, business owners can exchange to more stable currencies easily through cryptocurrency exchanges." Nick Capetanis, CEO of FTG, a financial services and investment company, states, "We are at the forefront of witnessing big changes with blockchain and philanthropy. The philanthropy landscape is one that benefits immensely from transparency. That is why we see campaigns such as the Currency of Good creating a beneficial and needed remodel of the system. FTG is looking forward to ushering in a new wave of philanthropic relations particularly on the blockchain." With about two weeks to spare before the start of the 2019 race, Cooper River Bridge organizers have lined up one of Charleston's top software businesses as their newest top-tier financial backer. Daniel Island-based Benefitfocus Inc. was announced Wednesday as a "co-presenting" sponsor for the annual 6.2-mile dash to be held April 6. The technology firm joins the supermarket chain Harris Teeter in that role. Read the full story HERE. The Charleston Digital Corridor is pleased to announce CODEcamp Kids - CS Upstart, a summer camp for middle and high school students. CS Upstart is a week-long, half-day camp designed to promote an interest in computer science and tech careers while expanding on the core STEM concepts from their other classes. Students will have expanded options for 2019 with three class offerings – Robotics and Hardware Programming, Intro to Web Development and Intro to App Dev. The class is once again being taught by high school seniors, Nicholas Ermolov of Glenbrook South High School, outside of Chicago and Parker Thompson of Charleston School of the Arts. The sessions, limited to 12-15 students, will be offered the weeks of July 8, July 15 and July 22, 2019. The camps will be held at the Charleston Digital Corridor's Flagship – Bridge Incubator at 385 Meeting Street in Downtown Charleston. Equipment required for the class will be provided and students will receive a snack and drink each day. "We're really working to reach students who are at the prime age to learn about computer science," Ermolov said. "With programs like CS Upstart, we believe we can have a meaningful impact on how students view STEM," Thompson added. "It is no secret that a career in the technology industry is exciting and lucrative," said Digital Corridor Director, Ernest Andrade. "Today, more than ever, students need to be introduced to the basic concepts of computer software, robotics and app development to discover the challenging and exciting world of software development." 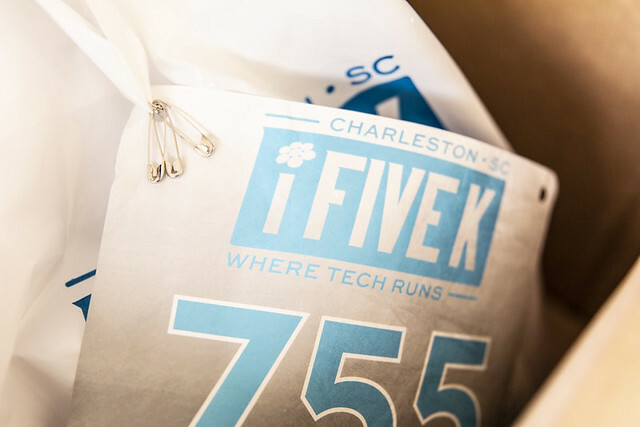 Scholarships for under-represented students are available from the Digital Corridor's annual iFiveK race. DIG SOUTH connects leading global brands like Oracle, IBM and Salesforce to the top tech leaders and entrepreneurs in the South. We gather in gorgeous Charleston to make deals, share the latest digital trends and build relationships. Curated tracks include technology, marketing and business. Learn more HERE.